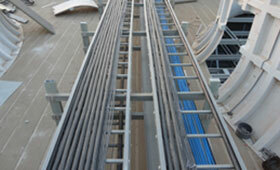 Our FRP cable support systems are ideal for locations where the metallic systems get easily corroded (Iron forms rusty layer and Aluminium makes white or silver greyish patina). 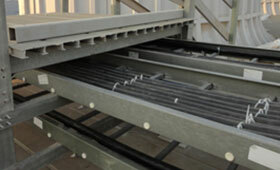 Aeron GRP cable ladders and GRP FRP cable trays are made on fully automated heavy duty plant. 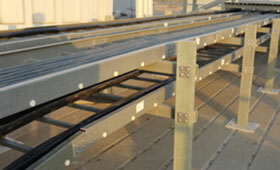 Our cable trays meet stringent Fire retardant requirements. Aeron Cable Management Systems are available in Ladder type cable tray and perforated type cable tray. Aeron GRP FRP cable trays are manufactured for a comprehensive array of cable management requirements. Created from glass armoured thermoset fire resistant resins, our each cable support system is designed and manufactured with sturdy metals, mostly steel and aluminium, excluding their corrosion, electrical conductivity and weight problems. Aeron supplies FRP GRP cable trays in varied sizes along several fittings like bends, tees, cross, reducers, etc. for every large or small project. Leading the industry with extensive collection of covers and fittings, Aeron has become premium FRP/GRP tray manufacturing company in India. We also offer cable duct fittings to our esteemed users. Our GRP covers and cover fittings range is compatible with covering tanks that are used for storing water, waste water and other distinct chemicals. Designed in sorts of shapes- circular, rectangular or square, our GRP covers share identical properties like light-weight, weather resistant, and chemical resistant. 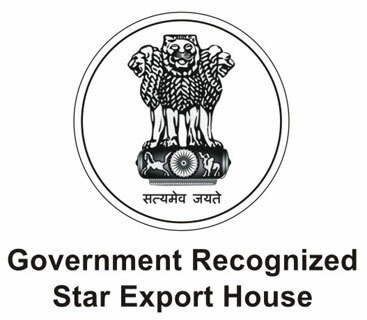 GRP cover fittings like access hatches, inspection hatches, ladders, hand rails and walkways can be incorporated according to user requirement. 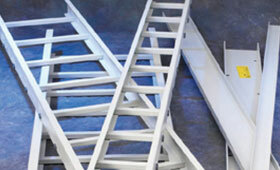 Aeron is a pioneer India based GRP FRP tray manufacturer in the industry. 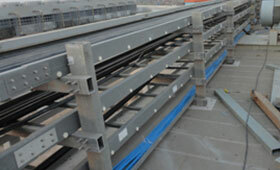 Besides GRP covers and cover fittings, we also manufacture FRP cable duct in any size as per the client’s requirement. Our FRP cable duct and fittings are manufactured in our equipped manufacturing unit that empower us to construct special fitting sizes, shapes, transitions, etc. 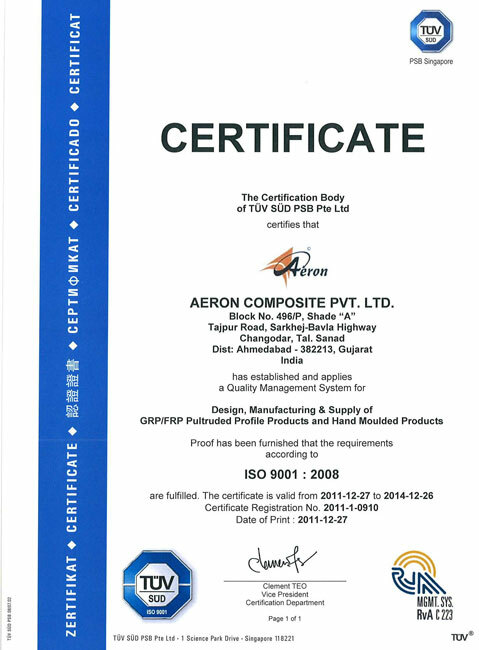 Aeron Composite offers best quality coupler plates and splice plates. 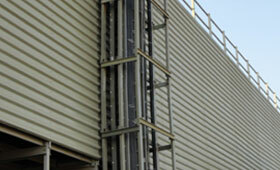 Aeron Provides various support system for Cable trays in GRP, FRP and Metal materials.